Watch full Naruto Shippuden Season 20 Episode 24 English Dubbed full HD online. Naruto Shippuden Episode 437 English Dubbed online for free in HD. Shizune approaches Tsunade, concerned she hasn’t eaten all day. Tsunade attributes it to not being able to put down Jiraiya’s novel about the younger generation of Konohagakure. Shizune offers to bring her dinner, and Tsunade resumes reading. In the novel, Neji question the masked man’s motives. He says that by changing how a village such as Konohagakure operates, the other hidden villages will follow, changing the world for the better. The masked man requests Neji to see what he means. Neji agrees to hear him out, and when Naruto tries to interfere, the masked man paralyses him. Neji promises to return to Naruto once he has seen what the masked man wants, and the two depart. Jiraiya ventures into Orochimaru’s hideout, and comes across a bandaged individual. Team Jiraiya reports to the masked man about the incident with the children, including how the Konoha genin eventually helped them, despite the directives of their mission. The masked man ponders about it, and instructs them to resume surveillance. Neji asks with the Konoha genin are his team-mates, which the masked man confirms, and asks Neji if he wants to see if they can change the future of shinobi. Naruto tries in vain to access the Nine-Tails’ chakra. Sasuke and Sakura discuss the mission’s situation. Lee and Tenten search for Neji and Guy, which Kiba smells from a distance. Hinata spots Neji and the masked man observing Sasuke and Sakura, as well as Sasori. Sasuke detects Sasori’s presence and attacks, Sasori begins to fight the two. Teams Asuma and Kurenai head out towards Sasuke and Sakura. 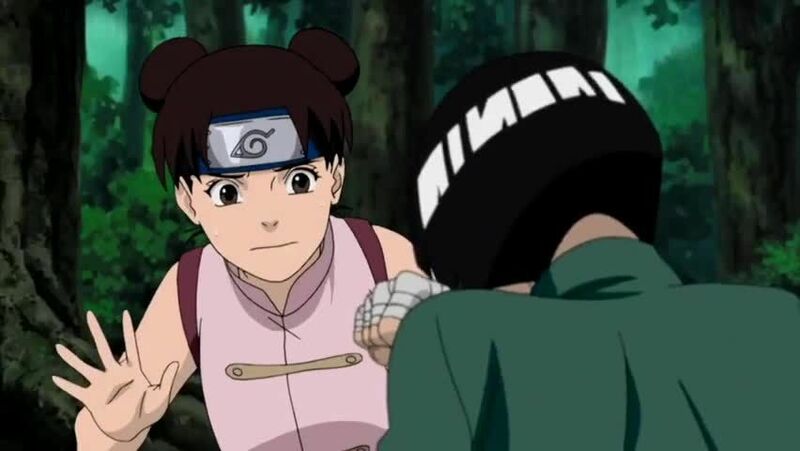 Lee and Tenten are attacked with explosive tags, directing them towards the same location. Sasori lands a hit on Sasuke, poisoning him. The Nine-Tails tries to convince Naruto to open the seal so it can use its chakra to aid Naruto. Jiraiya suddenly appears to Naruto.